Abe "Voco" Keshishian of San Rafael, a well known radio host in the 1970s, died of a heart attack Monday, July 3, 1989, at the Marin Hotel in San Rafael. He was 56. He was born in Detroit and told friends his first job was wiping off seats for the Red Wings hockey games. Later he got a job sweeping floors at Decca Records and then moved to San Francisco, where in the '60s he produced numerous record albums for Blue Cheer, The Charlatans, Harvey Mandel and many other artists and groups. 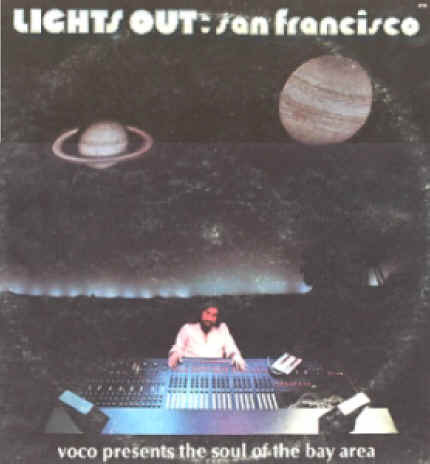 He became famous in San Francisco for his KSAN radio show, "Lights Out San Francisco." In 1970, he suffered a heart attack that left him disabled. His son, Michael Keshishian of Dearborn, Mich., said his father's following from the radio program was so popular that he received almost 40,000 cards and letters in the hospital. He had lived at the Marin Hotel in San Rafael for the previous 14 years. He is also survived by his mother, Silvey Vartanian of Riverview, Mich.; two brothers, Andy Keshishian and Michael Keshishian, both of Detroit; and three grandchildren. Arrangements are being handled by Keaton's Mortuary in San Rafael.